I/We will actively supervise all gatherings or parties of youth in my/our home or on my/our property, or ask another responsible adult to do so. I/We will set expectations for my/our children by knowing where they are going, who they are with, what their plans are, and when they are to return home. What is expected of me as a member of SAFE HOMES? Set age-appropriate family guidelines for your children and KNOW: WHERE your children are; WHO they are with; WHAT they are doing; WHEN they are expected home; and WHAT consequences will be if the rules are broken. Actively support and enforce a clear, consistent message and policy for all youth that there will be NO USE of alcohol, marijuana, or other drugs. Talk to other parents (the parents of your child's friends), and agree on expectations and rules for your children. Welcome a phone call from other parents supporting your combined commitment. ​​Provide support for other parents in your joint efforts to have safe, healthy, drug-free homes and communities. Once you register for SAFE HOMES, we will email you a link to the SAFE HOMES Directory. We will not publish your email in the directory, and we will not share your information with anyone not in the SAFE HOMES Directory. Agree to and will uphold the SAFE HOMES Pledge and Expectations as stated above this form. Agree to have published with the exception of my email address the names and contact information listed above (unless otherwise specified on this form) in the SAFE HOMES directory, which is shared with all households that are a part of SAFE HOMES. 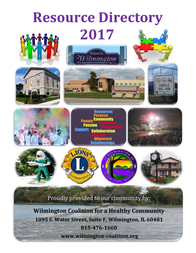 Agree to receive via email the SAFE HOMES directory from the Wilmington Coalition for a Healthy Community.